As much as dogs, cats, or any domestic animal, horses exemplify the vast range of human-animal interactions. Horses have long been deployed to help with a variety of human activities—from racing and riding to police work, farming, warfare, and therapy—and have figured heavily in the history of natural sciences, social sciences, and the humanities. Most accounts of the equine-human relationship, however, fail to address the last few centuries of Western history, focusing instead on pre-1700 interactions. Equestrian Cultures fills in the gap, telling the story of how prominently horses continue to figure in our lives, up to the present day. 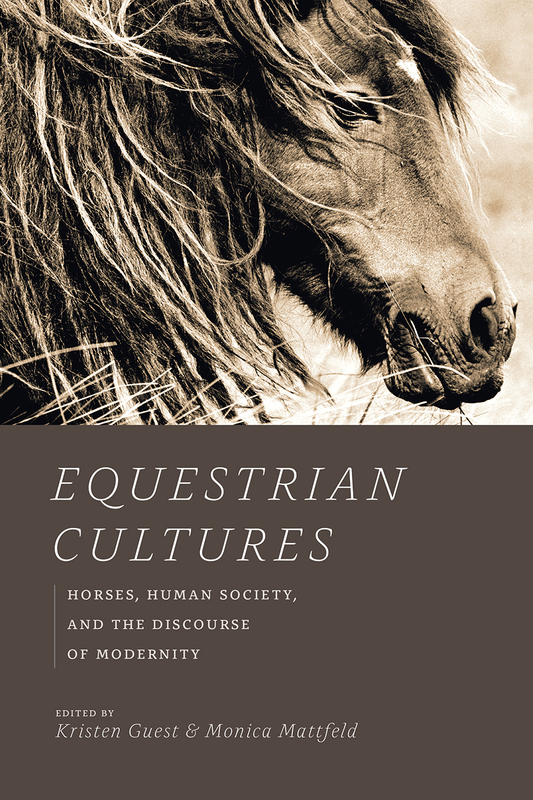 Kristen Guest and Monica Mattfeld place the modern period front and center in this collection, illuminating the largely untold story of how the horse has responded to the accelerated pace of modernity. The book’s contributors explore equine cultures across the globe, drawing from numerous interdisciplinary sources to show how horses have unexpectedly influenced such distinctively modern fields as photography, anthropology, and feminist theory. Equestrian Cultures boldly steps forward to redefine our view of the most recent developments in our long history of equine partnership and sets the course for future examinations of this still-strong bond.